It’s that time of year again – Gift-mas. That time when you KNOW you have to get ready for the gifting season and you are stumped on what gift to actually give. I’ve got you covered! Most of the items on this list are from small manufacturers or small businesses, local artists, and one is a new book, just released, by a friend of mine. Let’s dig in! Be sure to read through to find a coupon code and info for ordering online to save you the hassle of driving around. Check websites for details on Hanukkah and Christmas delivery cut off dates. You are welcome. Also – wait until “Cyber Monday” to order online for offers that may be available that day only. 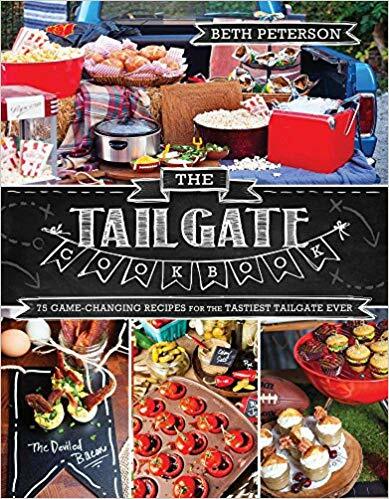 Written by pal Beth Peterson – get your tailgate on! This is the perfect gift for the tailgating fanatic on your gift list! Loaded with tried and true recipes from my pal Beth Peterson (former World Food Champion), this book is sure to be a hit with all of the football fans on your list. Even if you dislike football (like me) the recipes are sure to make you the “host with the most” for any get-together. $19 on Amazon – Paperback format only. Blue Carbon Steel is the love child of cast iron and stainless steel and THIS pan at just $69 is the perfect gift for the home cook who is ready to go to the next level. With better heat conductivity than stainless and the superb searing properties of cast iron without the weight, this is a game changer for the budding chef or expert home cook. You season this pan like you would cast iron to get non-stick properties (don’t worry – instructions are included and there is video on their site). While you are at the site, check out their entire line. The majority of their line is made in Austin, Texas, but this pan and a few other things are made in France. $69 Pre-order now for shipping on the first of December. If you have ever seen me in person, chances are I was wearing this bracelet. I have a love of all repurposed silverware so this made a perfect gift for me. If you have a gal on your list that is tough to shop for, this might just be the perfect gift. I even wear it in the kitchen. 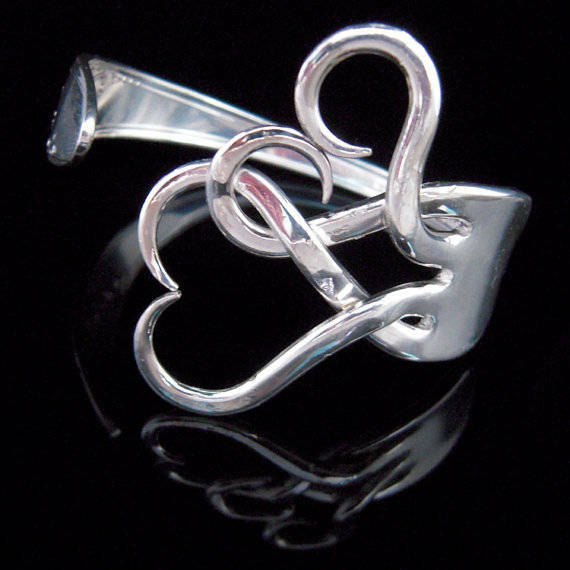 Because it is silver and there are no stones to fall out, no clasp to come undone, it works just as hard as I do. There are several retailers on Etsy, so check them out. This image from MarcelloArt on Etsy Pictured item $30, but prices vary depending on design. These make fab stocking stuffers and you can get customized ones (like the Hubs bought me a few years ago) or any of several designs that are commercially available. Check out these two sites for some great gift ideas. 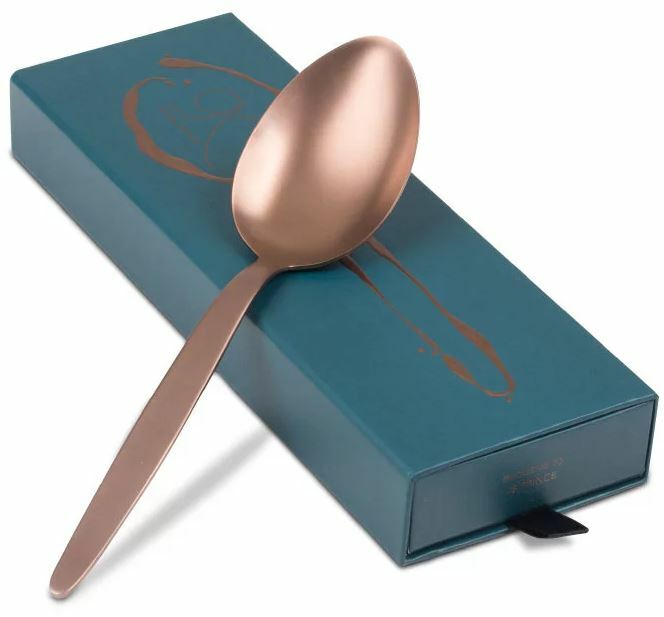 Friend Nanette bought me a rose gold saucing spoon from Gray Kunz that I love (pictured). Prices vary. Gray Kunz Spoon available at JB Prince. 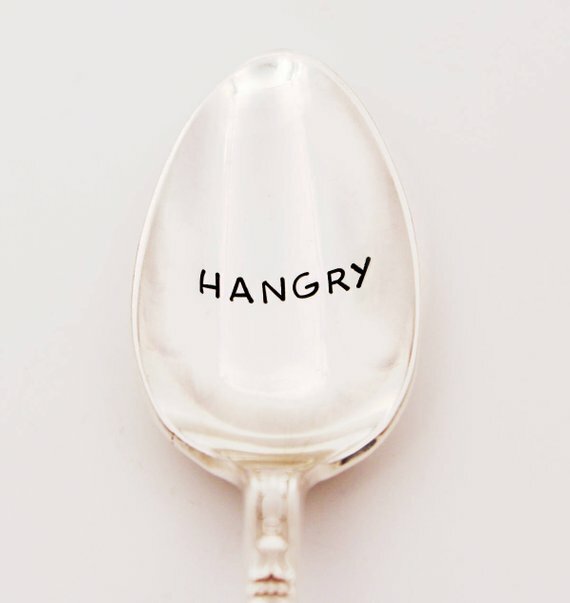 Stamped tasting spoon available at Sky Metal Designs on Etsy. No more bland food. No stale spices and herbs. 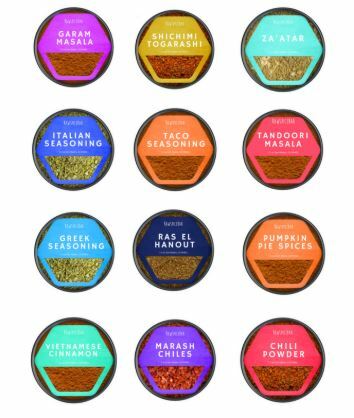 Raw Spice Bar has fresh and flavorful spices, herbs, and spice blends to help you! 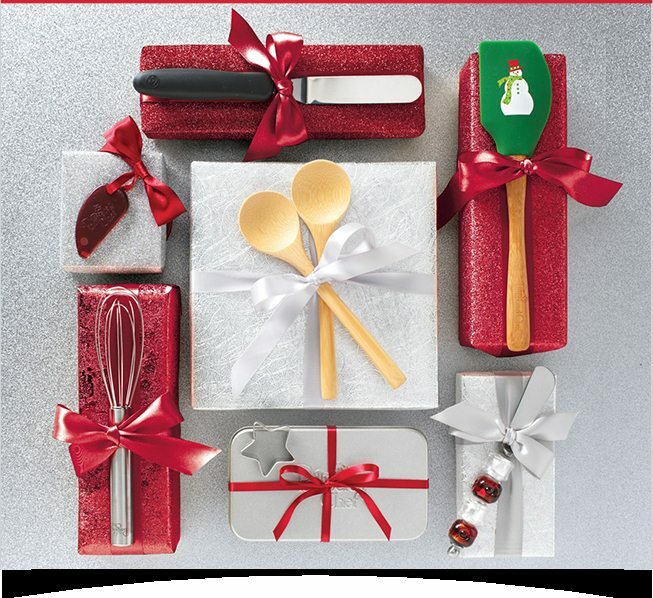 The gift sets are a treat for anyone who loves to experiment. The individual spices and seasonings are perfect for replenishing your own pantry or creating your own gift set or gift basket. 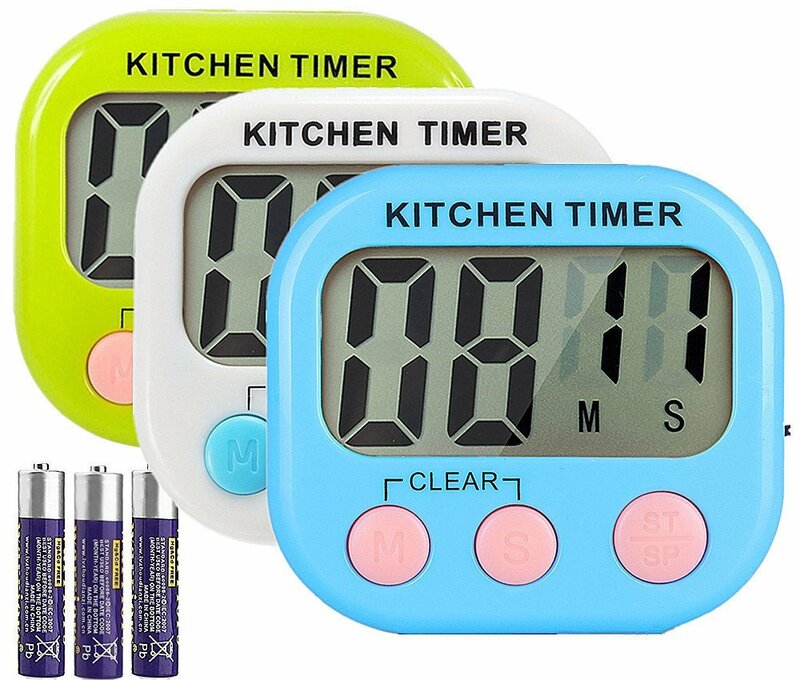 Get your orders in now for holiday gift giving and holiday cooking in your own kitchen. I am officially in love with their Poultry Seasoning and their Apple Pie Spices. Pro Tip- when making pumpkin pie, using your regular recipe, add all the spices volumes together (e.g. 1 Tbsp cinnamon, ½ tsp nutmeg, ¼ tsp cloves, ½ tsp ginger = 1 Tbsp + 1¼ tsp total) and sub that volume of Raw Spice Bar Apple Pie Spices for a balanced and slightly different take on your pumpkin pie. Bonus for all of my readers from Raw Spice Bar – 10% off your total order through 31 December when you use the coupon code goodforspooningspices! Prices vary.